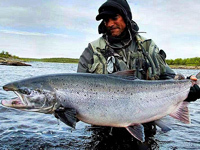 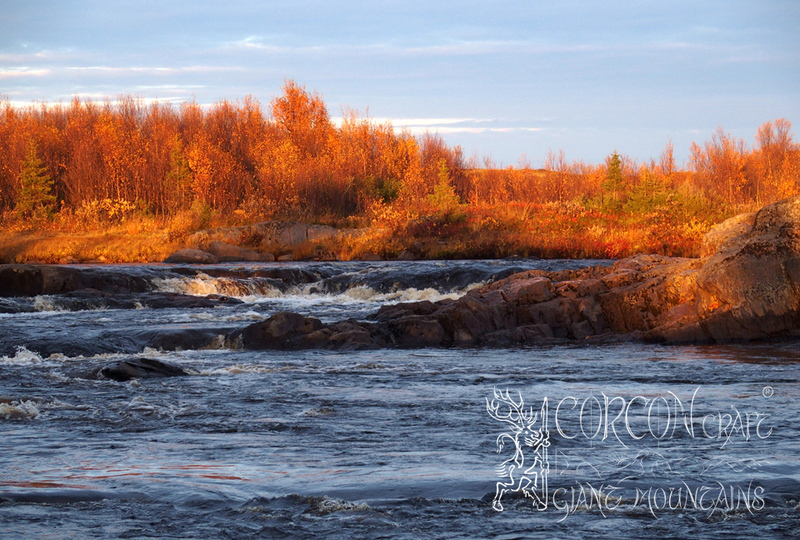 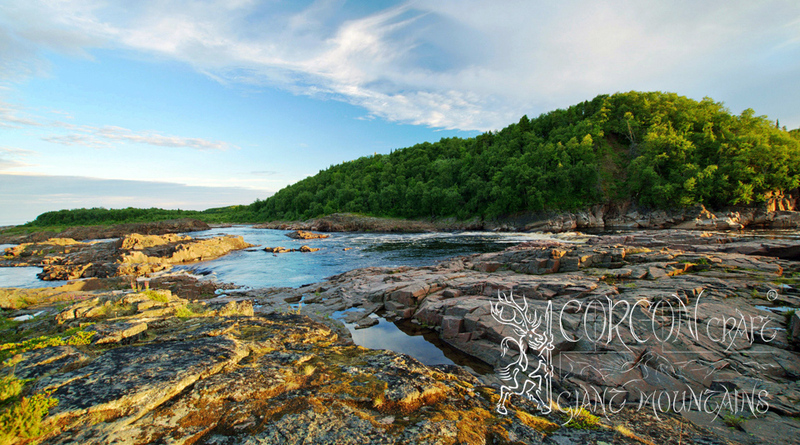 One of the last few places in Europe, where the run of the Atlantic Salmon and the Sea Trout are still as plentiful as in the old days, is the Kola Peninsula in northern Russia, a vast and barren land with numerous wild rivers at the land´s end of Europe. 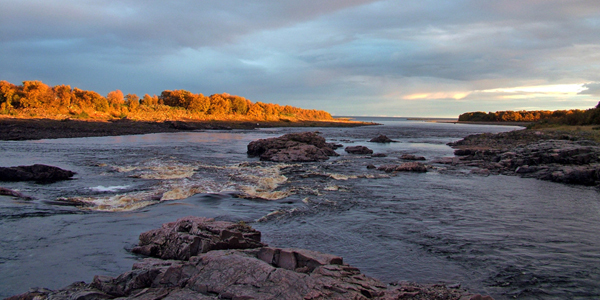 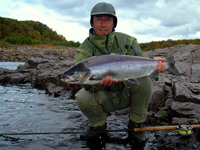 Isolated for many decades during the times of the Soviet Union, scarcely populated, without much industry, mining, or pollution, missing the devastating aqua-cultures in the mouth of the salmon rivers, - the Russian Kola Peninsula has quickly advanced among the top destinations for the traditional salmon fly-fisher. The average salmon from a typical Kola river may not be as big and heavy, like those salmon running up the mighty Norwegian rivers, but they are plentiful and they are offering great sport. 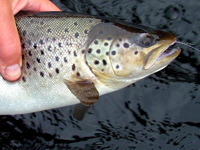 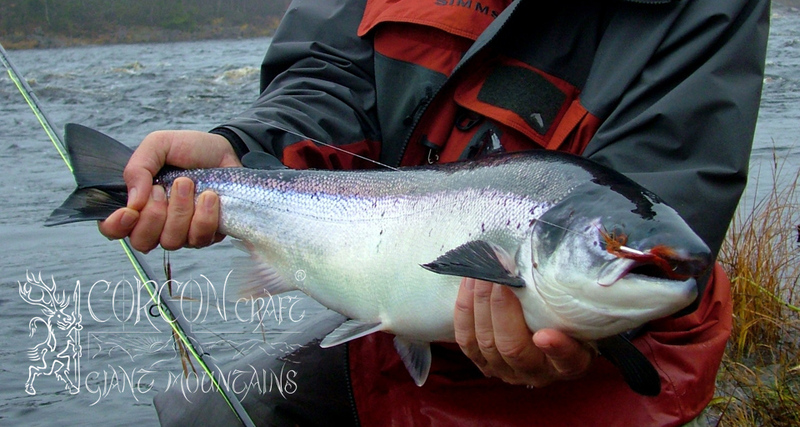 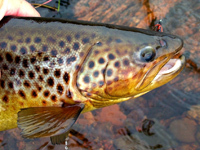 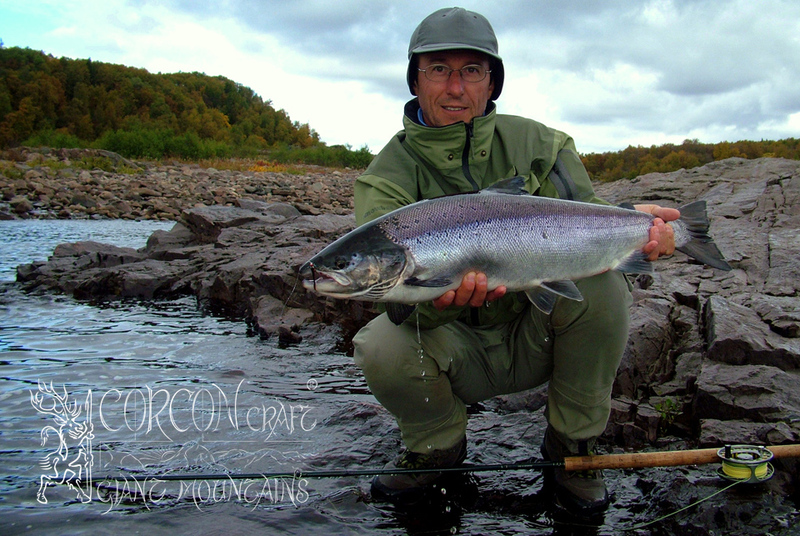 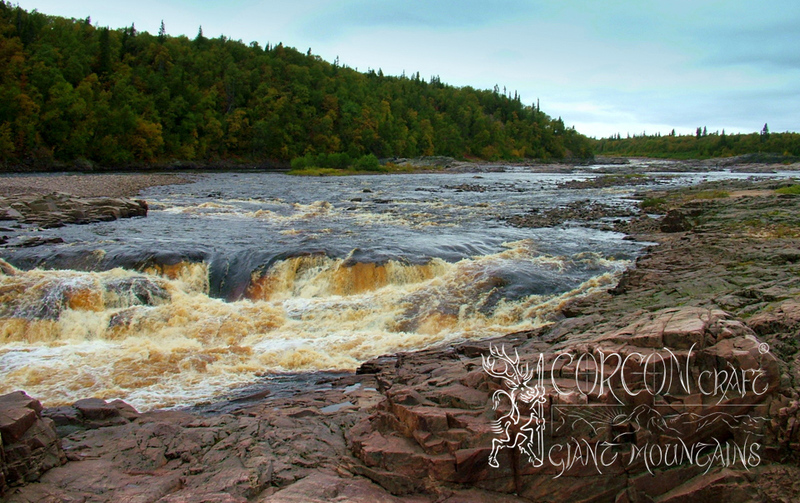 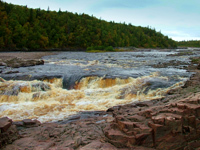 - Besides these healthy runs of Atlantic Salmon from the beginning of fishing season in late May, there are beautiful Sea Trout, too, and the big Brown Trout and lovely Arctic Grayling, which are inhabiting these rivers permanently, are adding a lot of beauty and joy to the fly-fishing. 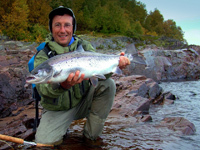 We are fishing both rivers, the Chavanga with our cottage base-camp, and the remote Strelna River with the new cabin camp, to be reached by off-road vehicle on the trail or by helicopter directly. 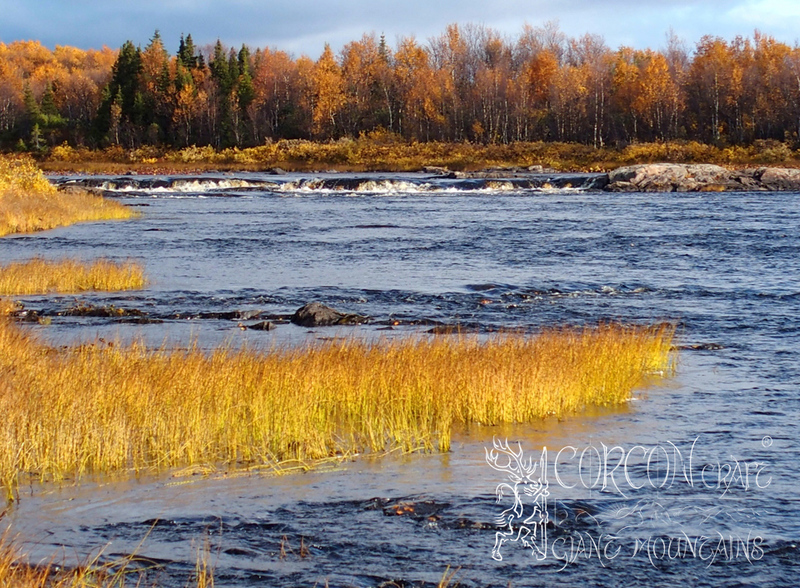 The Strelna River is surrounded by wild country, You will not meet any other people here, the current is fast and the banks rocky. 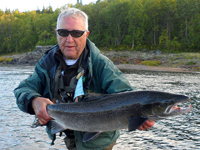 The fishing can be tough at times, but the salmon from this 5th.largest river on the Peninsula are bigger in general, and well worth the effort. 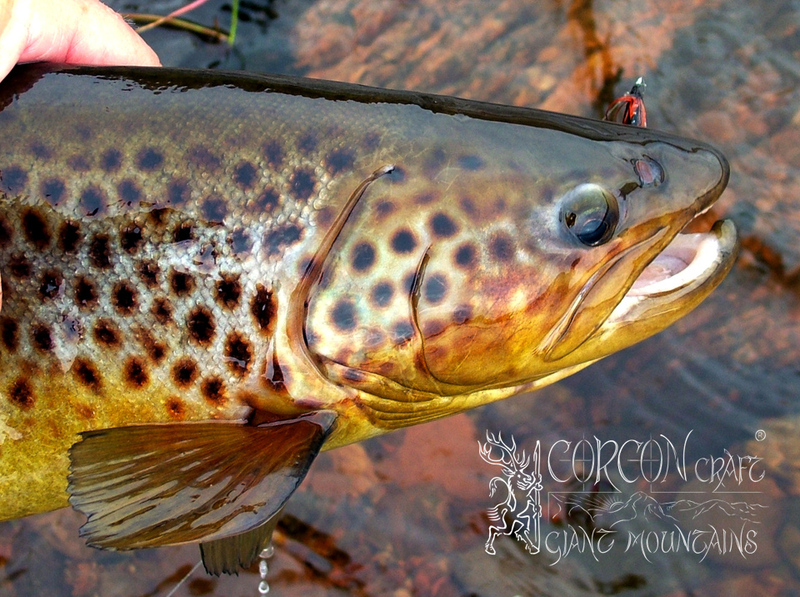 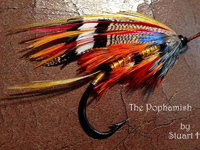 - The Chavanga on the other hand, is a friendlier river and easier to fish. 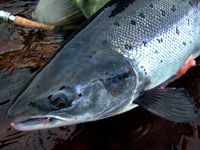 There are solid runs of Salmon and Sea Trout, but there is also a small native village upon the river, and You may not be always alone at the river bank. 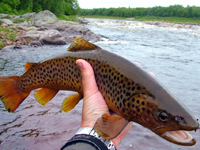 But it also gives You the opportunity of visiting the little village store, the "magazine", where You may refill Your liquer-flask, or if You may miss anything at fishing camp. 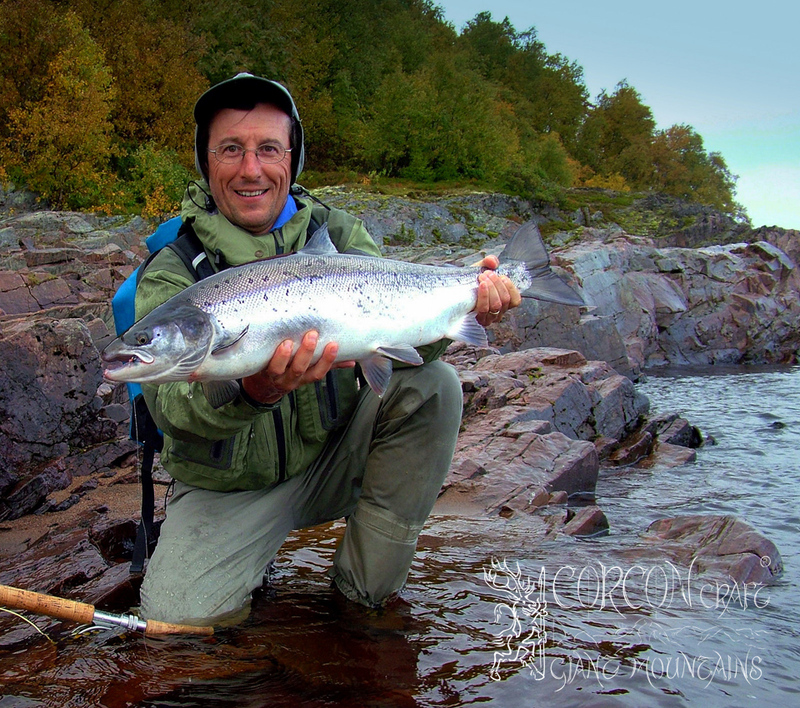 A family-owned cottage camp awaits the travelling sportsman at the banks of the Chavanga River, and at the remote Strelna River in the backcountry, both flowing into the White Sea at the south-east coast of the Peninsula. 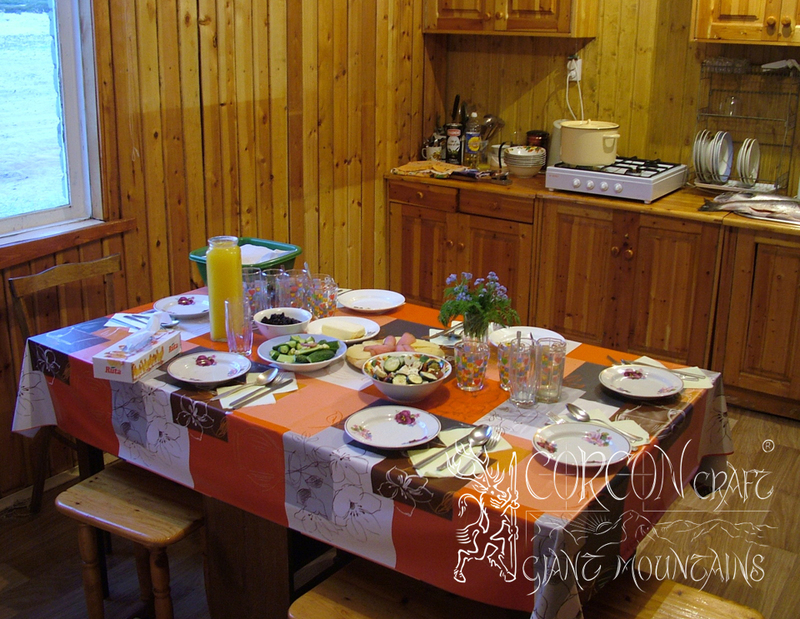 - East European hospitality and a full board of substantial Russian cuisine is part of the accommodation, as well as the comfortable and warm bedrooms in 2-bed and 4-bed cabins. 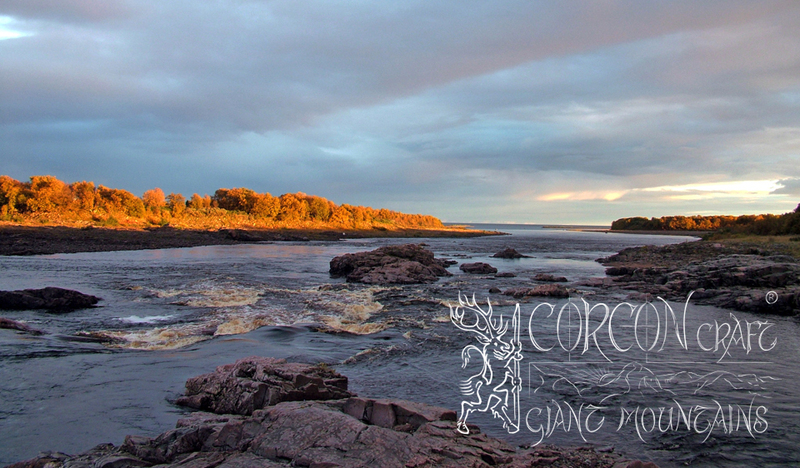 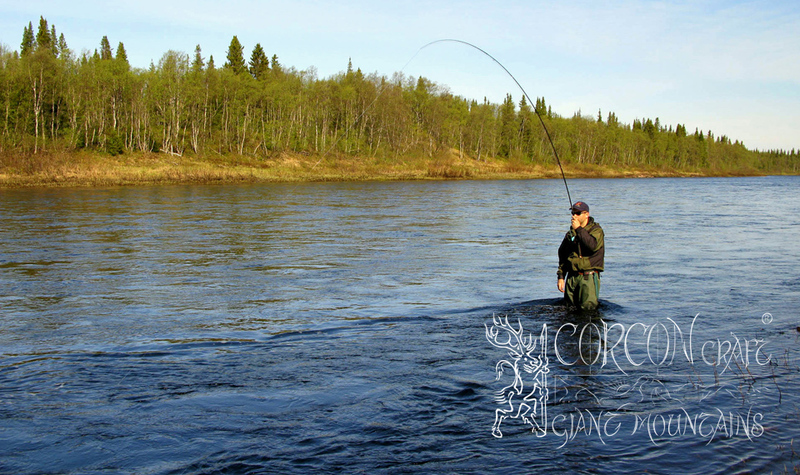 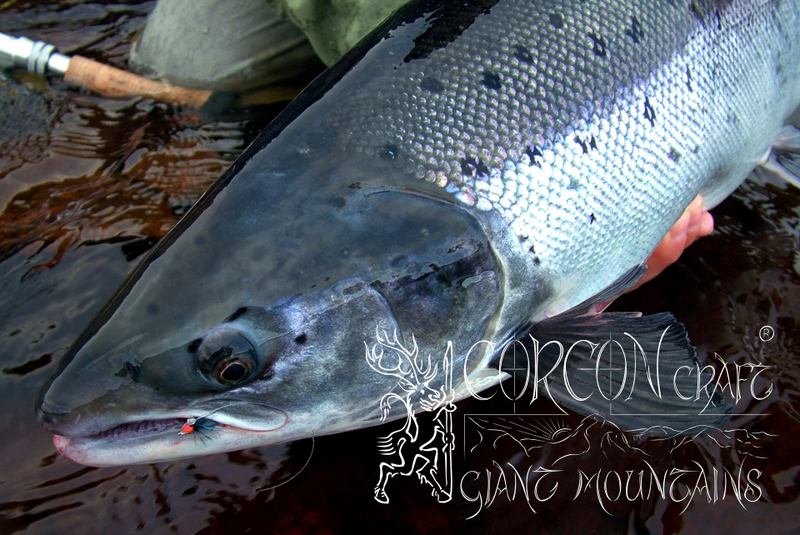 8 days tour with full 6/7 days of pure fishing for Atlantic Salmon, Sea Trout, Brown Trout, and Arctic Grayling. 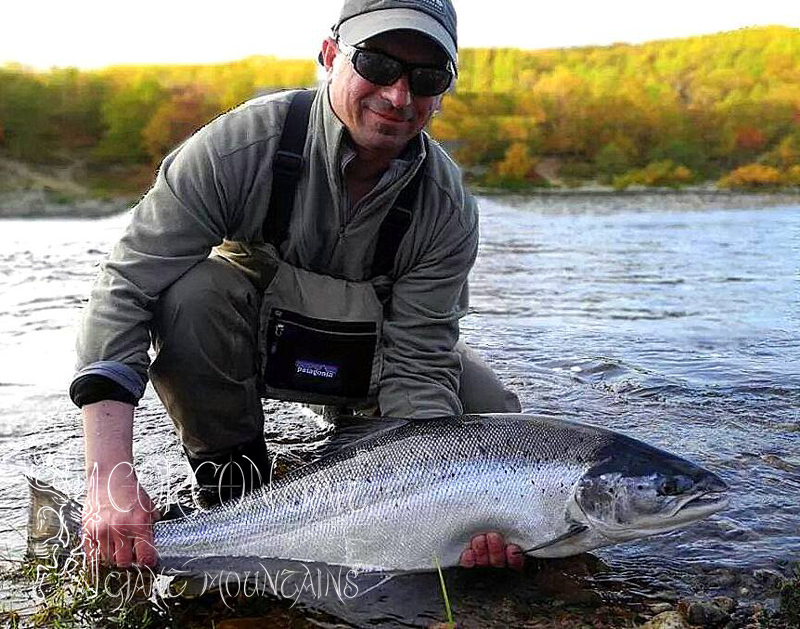 Only 6 rods per camp and river. 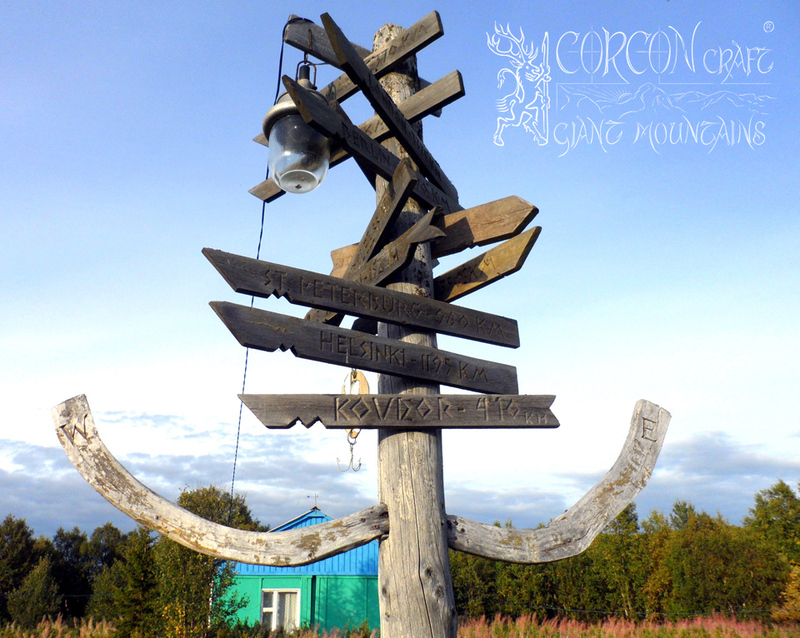 Cottage Camp Chavanga, or remote Camp Strelna. 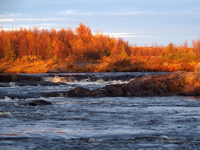 One additional day on the trail to reach the new Camp at River Strelna. Perfect conditions for fly-fishing from the bank, solid runs of Salmon and Sea Trout. 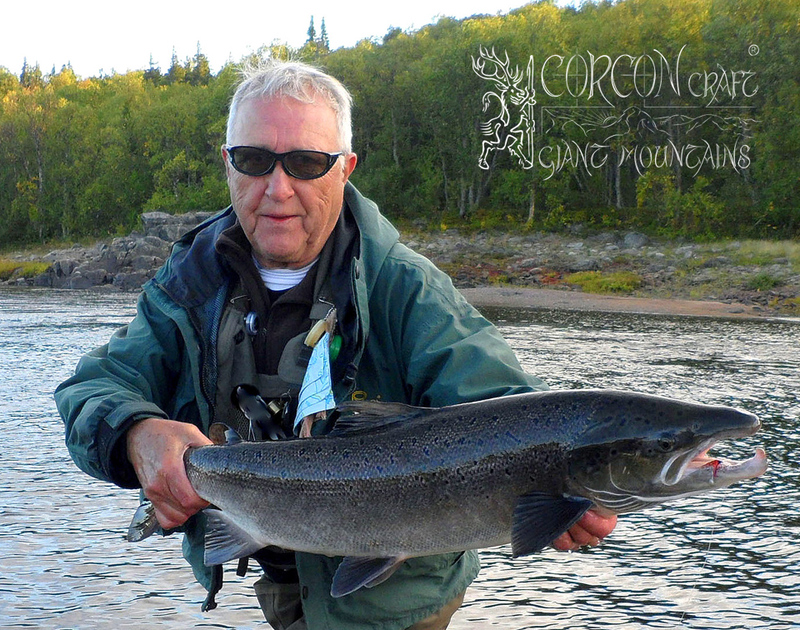 Guided by the best local guide, the camp owner, and by a German salmon guide. 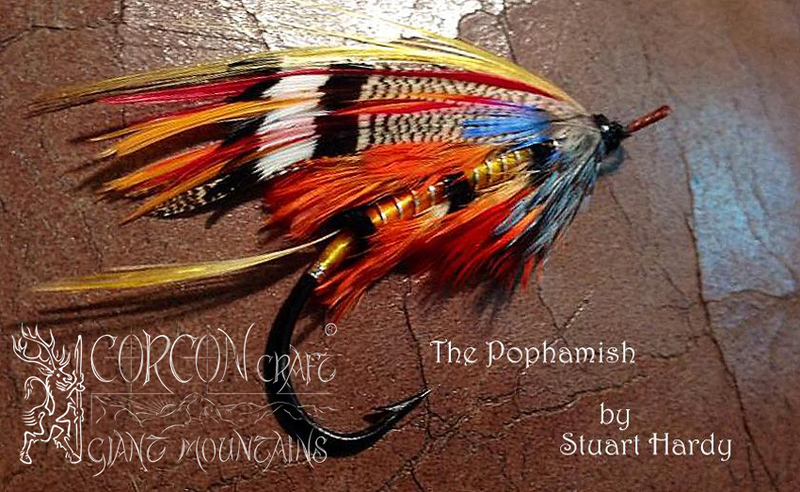 Small fine collection of custom salmon flies included for each fishing guest. 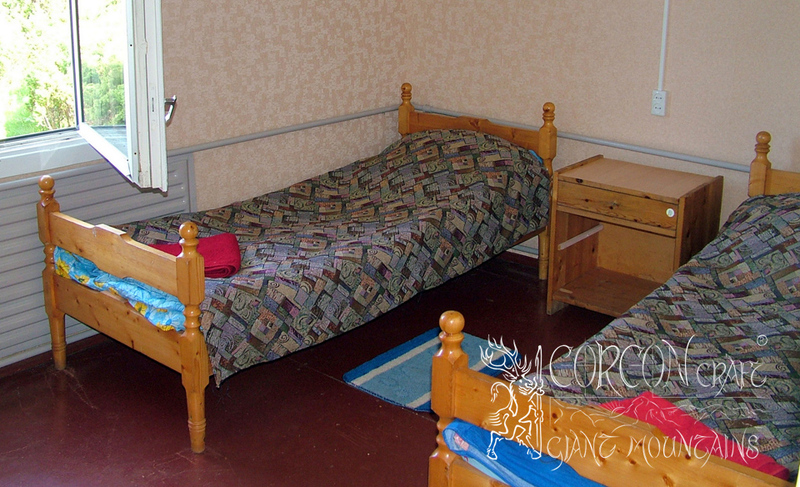 Full board with accommodation at heated and isolated 2-bed cabins. 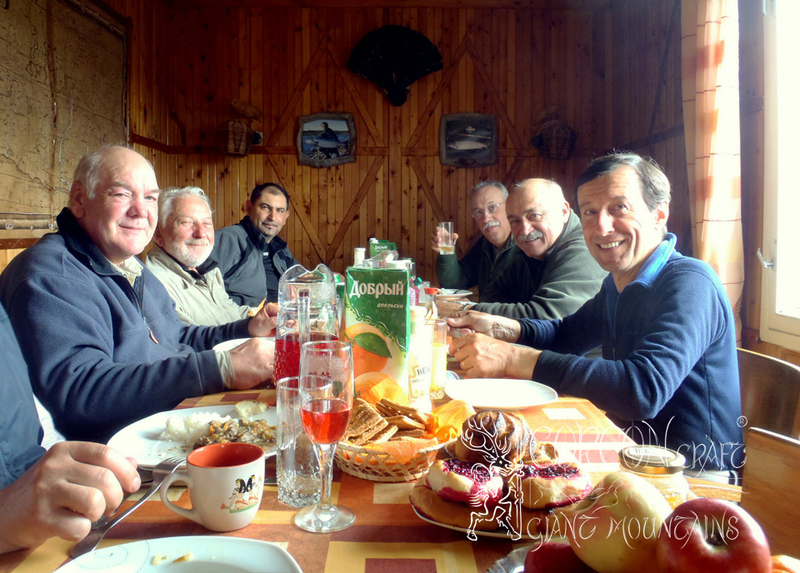 Breakfast and rich home-made 3-course dinner. 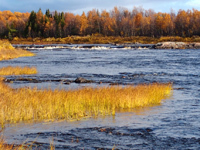 Sandwich lunch at the river bank. 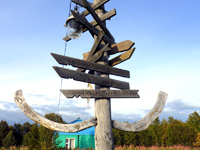 Collection at the airport in Murmansk, 1 night in hotel, helicopter transfer to camp. 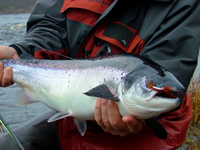 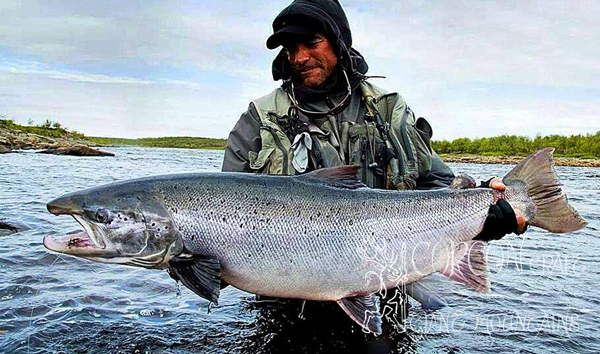 Salmon fishing license included, also domestic hotel, heli-transfer to camp and back. 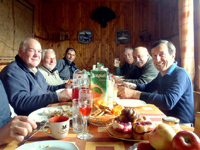 Not included are alcoholic beverages and the international flight fare via Moscow to Murmansk. 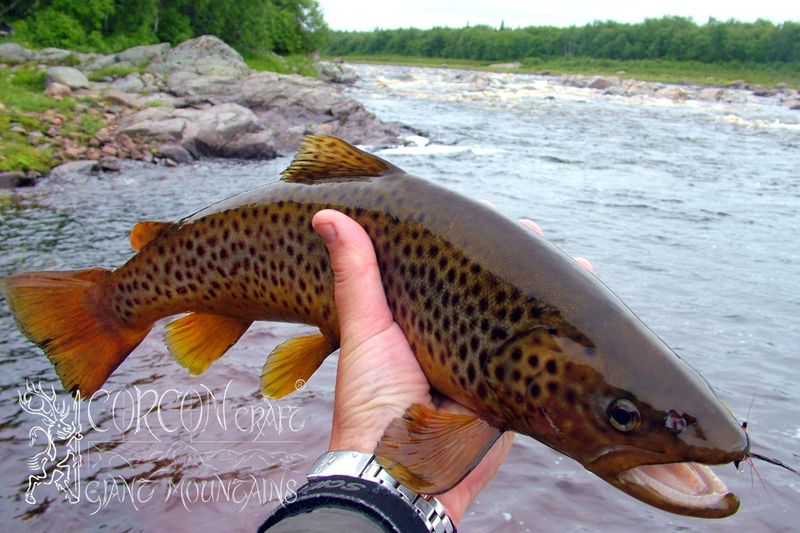 Fly-fishing for Atlantic Salmon, Sea Trout, Brown Trout, Arctic Grayling.